The Red Center extends approximately from Tennant Creek to Southern Australia. In this huge desert, the red colour is literally everywhere: the sand is red, the rocks and mountains as well. The contrast between the electric-blue of the sky and the deep-red of the desert is startling! 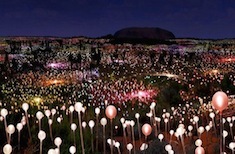 Alice Springs is the main city of the Red Center, but people do not come to this part of Australia to stay in cities. The main attractions of the Red Center are its natural landscapes and rock formations, formed thousands of years ago by erosion. 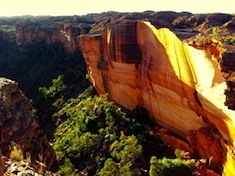 Besides the well-known monolith of Uluru / Ayers Rock, many rock formations are truly spectacular. 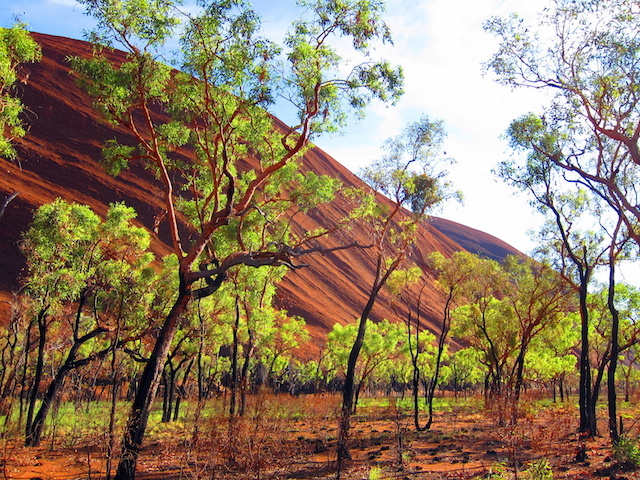 Don't miss the 36 domes of Kata-Tjuta, only 40kms from Uluru. Away from the crowd, the unusual sandstone formation of "Chambers Pillar" can be reached in 4wd. The gorges and summits of West Mac Donnell Ranges can for their part be discovered by walk. To feel the "true" spirit of the Outback, you may also choose to sleep under the stars: an unforgettable experience! Don't forget to visit the capital of the Red Center before you leave Australia's heart: Alice Springs is one of the most secluded cities in the world!